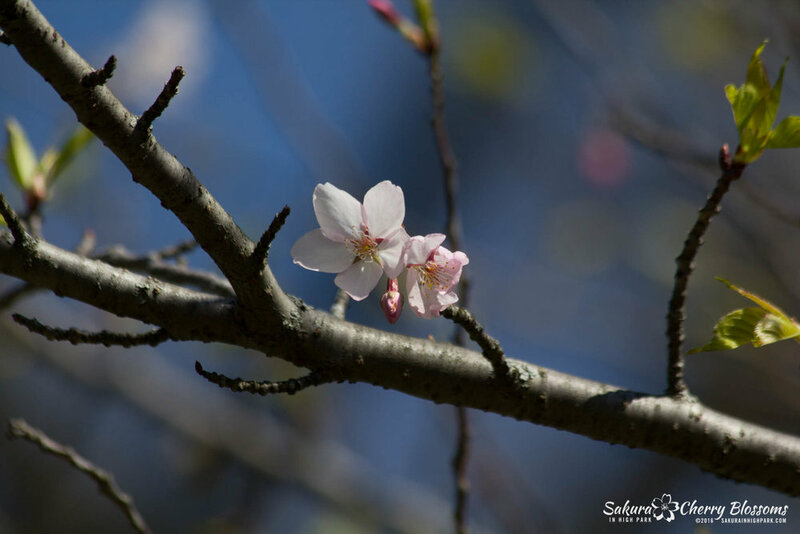 Sakura Watch, May 7, 2016 - Only a few blossoms to be seen throughout the park this Mother's Day weekend in Toronto. Those looking to come out and expecting to see trees filled with delicate white flowers will instead be greeted with a game of 'where's the blossom?' as they wander around the park in hopes of spotting a sakura cherry blossom. You will be able to see blossoms on the trees, but they will be extremely sparse to the point where you would be able to count how many are the tree easily. Upon my latest visit, I snapped a few photos showing what you can expect in just how low the numbers are. 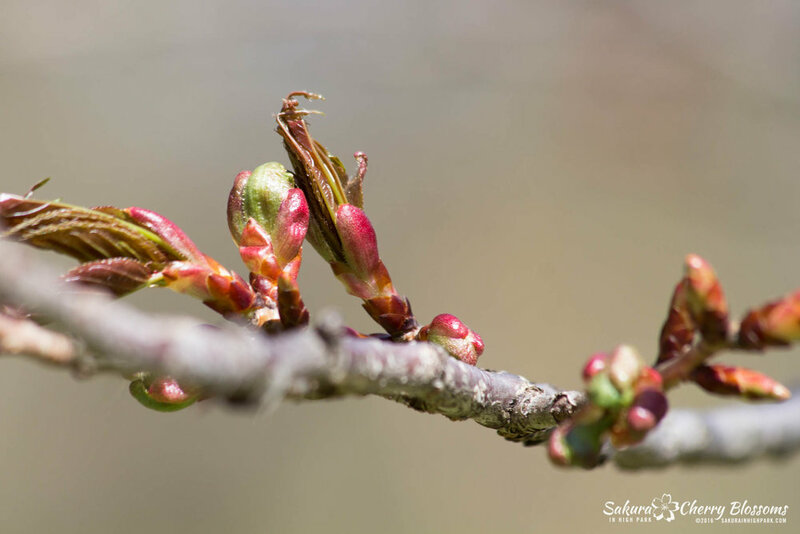 Leaf fans (the green-on-tree ones, not the hockey ones) will enjoy seeing the daily greening of the trees as well as all other areas of the park as consistent warmer weather seems to be settling in finally, but the timing is unfortunately too late for our beloved blossoms. Of course, we shouldn't forget that High Park is a beautiful place to visit on any occasion as there is always something to see and enjoy. 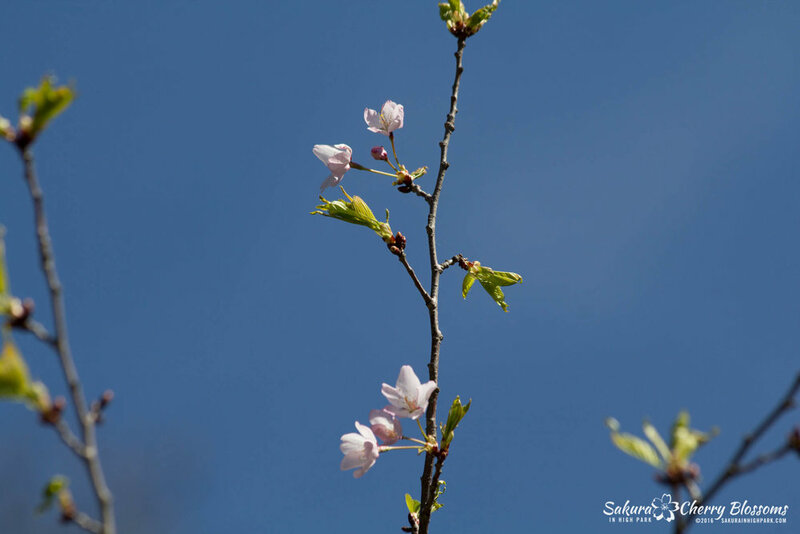 From magnolias to waterfowl to all types of plants and flowers coming to life everywhere you look, springtime is definitely one of the most vibrant times to enjoy the park. There is far too much ugliness in the world continually being pushed into our view that sometimes we need to retreat to a place where the beauty of what we tend to take for granted is just waiting to be discovered. I hope you all take time to enjoy this Mother's Day weekend and forget about being upset about the lack of blossoms and instead enjoy the few we do have. 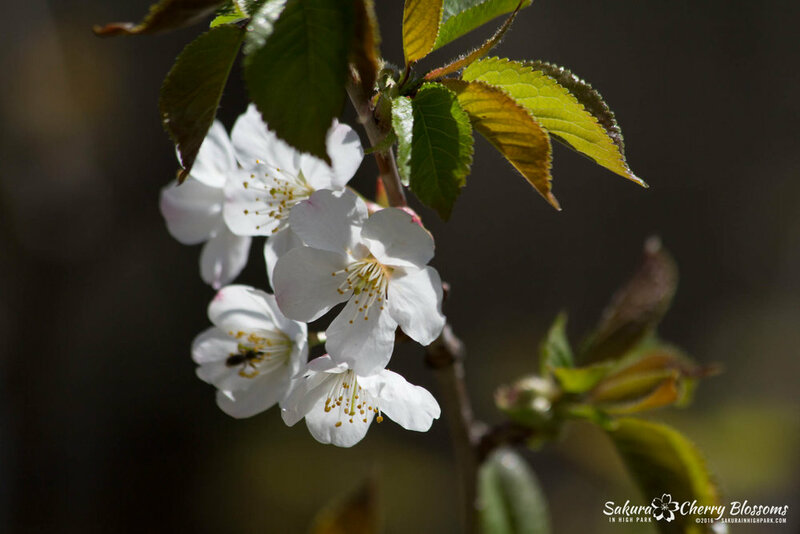 Isn't even seeing just one sakura cherry blossom better than seeing none at all? Have a great weekend, and more updates will follow next week.